The town of Santa Barbara, also known as “The American Riviera”, is the county seat of Santa Barbara County. 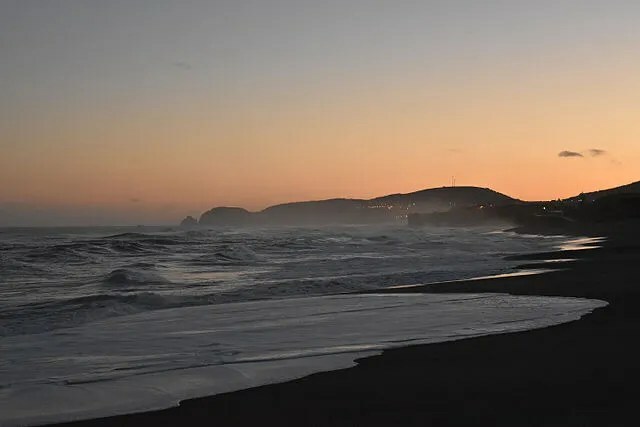 Tucked between the Santa Ynez Mountains and the Pacific Ocean, the town boasts many stunning natural and man-made attractions—from the Spanish colonial architecture, to pristine beaches, vibrant gastronomy scene, trendy boutiques, and intriguing galleries. There are 28 wine tasting rooms located in three parts of town: the downtown, east side, and Funk Zone. 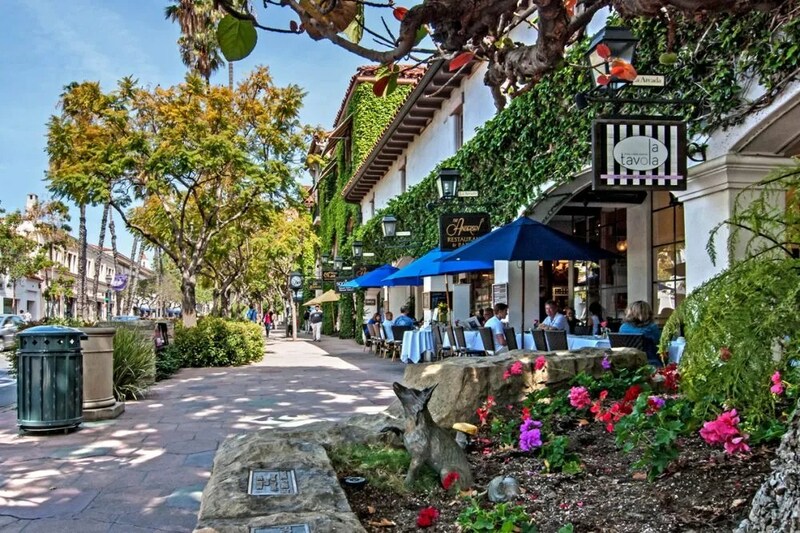 With its proximity to Los Angeles, fair weather, golden beaches in the front, steep Santa Ynez Mountains in the rear, neatly laid-out streets, and multiple trails of wine adventure in town, it is no wonder that Santa Barbara makes a compelling destination for many people. Photo by Chris, CC BY-SA 2.0. With 17 tasting rooms, The Funk Zone has the largest concentration of tasting rooms in town. Located near the water, it is a refurbished area made up of several blocks of converted warehouses and buildings. Also located in The Funk Zone is Santa Barbara Wine Collective, which acts as a tasting room for several wineries, including Babcock, Ca’Del Grevino, Fess Parker, Notary Public, and The Paring. At Santa Barbara Wine Collective, not only do the visitors get to explore the portfolio of various wine producers, but also the different AVAs. Being able to taste various wines and AVAs side by side is a great opportunity to get a sense of Santa Barbara County as a wine region. Santa Barbara Wine Collective. Photo by Rob Stark. 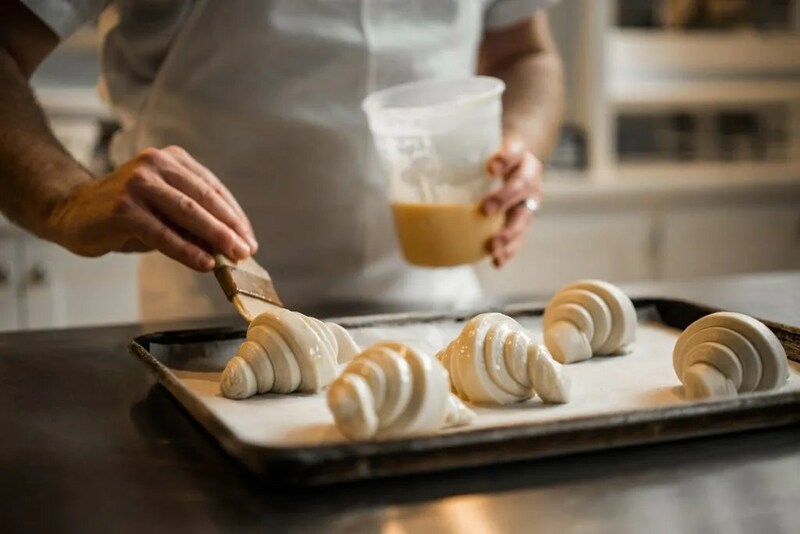 While tasting at Santa Barbara Wine Collective, you can also fill yourself up with freshly baked goods from Helena Avenue Bakery, which shares space with the Collective. Croissants in the making. Photo by Helena Avenue Bakery. Another wine bar to take note is Les Marchands, where parts of the movie Somm: Into The Bottle were shot. At Les Marchands, you’ll be spoilt for choices with not only wines from Santa Barbara County, but also international selection. But why go international when you can find limited-production wines by local heavyweights like Chanin, Storm, and Tyler? All three producers are known to make wines that express finesses and layers. There are plenty of restaurants and eateries in town, which makes for an exciting pit stop for lunch or dinner. Right next to Les Marchands is The Lark, one of the hottest restaurants in town. If you’re in the mood for beans, corn, and guacamole, take a walk to Mony’s Mexican Food or Lilly’s Tacos. Craving wood-fired pizza? Check out Lucky Penny. Looking for a taste of Spain? Head to Loquita. Wondering what cicchetti is all about? Convivo has you covered. Can’t decide on what you want? Santa Barbara Public Market can sort you out. The second biggest concentration of tasting rooms is in downtown Santa Barbara; there are seven tasting rooms that are walking distance from each other. Five of the seven tasting rooms—Au Bon Climat, Grassini Family Vineyards, Happy Canyon Vineyard, Jamie Slone, and Margerum —are in the same block. 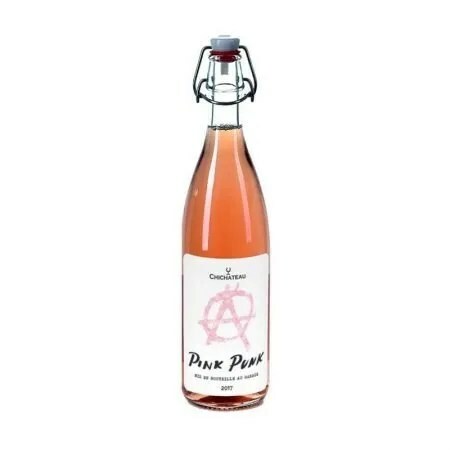 If you are living outside of the USA, you’re more likely to come across a wine by Au Bon Climat than any other Santa Barbara producers. Au Bon Climat also includes a sub-brand called Clendenen Family Vineyards under which Jim Clendenen, the proprietor and winemaker, makes small lots of wines from a spectrum of wine grapes – including Aligoté, Gewürztraminer, Petit Verdot, Tocai Friulano, and Viognier. The most famous bottling under the Clendenen Family Vineyards is the Nebbiolo, which undergoes five years of aging in the barrels before release. But don’t sleep on the Au Bon Climat line, which owns a worldwide reputation for its Burgundy-inspired Pinot Noir and Chardonnay. You simply cannot go wrong with this estate. Even the entry-level bottling is outstanding. And the top line wines are ethereally elegant with long cellaring potential. Right next to Au Bon Climat’s tasting room is Grassini who makes Bordeaux-style wines with grapes from the Happy Canyon AVA. The Grassini Cabernet Sauvignon is particularly impressive, with earthy, savory flavors and an energetic kick of Californian ripe fruit. 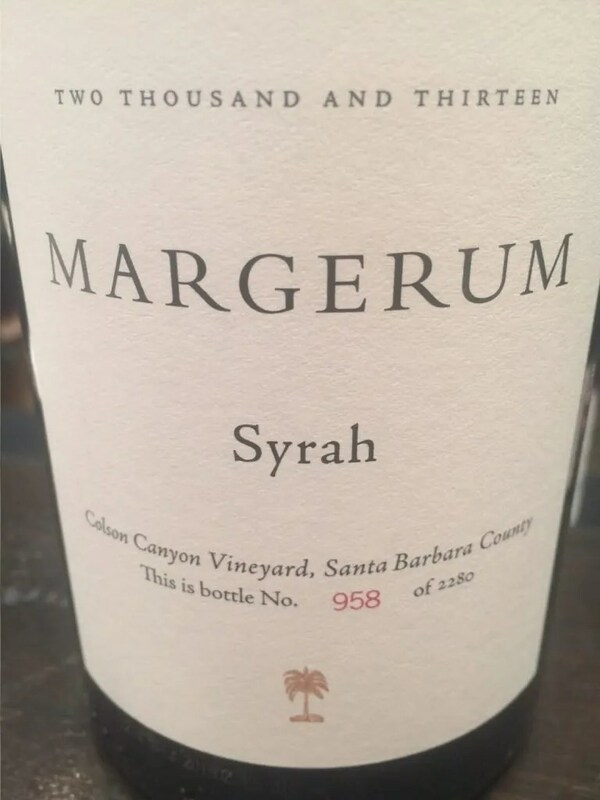 At Margerum, we discovered a wine we enjoyed tremendously: the Margerum Syrah Colson Canyon Vineyard 2013 delivers a fine balance of fruity, earthy, and spicy flavors. A handful of tasting rooms, including Jaffurs Wine Cellars and Whitcraft Winery, are spread out on the east side of the town. The first time we were acquainted with Whitcraft wine was through the film Sideways. The winery works with small quantities of Pinot Noir, Chardonnay, and Rhône grapes. Whitcraft is dedicated to minimal-intervention winemaking whereby the wines are never fined, filtered, or pumped and the smallest amount possible of sulfur is used. Jaffurs is famous for making Syrah and other varietal wines from Rhône varieties. This is a producer that came highly recommended to us from many people in the industry. If you enjoy the interplay between Old-World finesse and New-World power, this is a producer you should seek out. 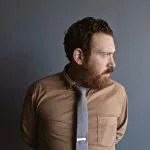 Planning a trip to Santa Barbara? Want to learn more about Santa Barbara wines? 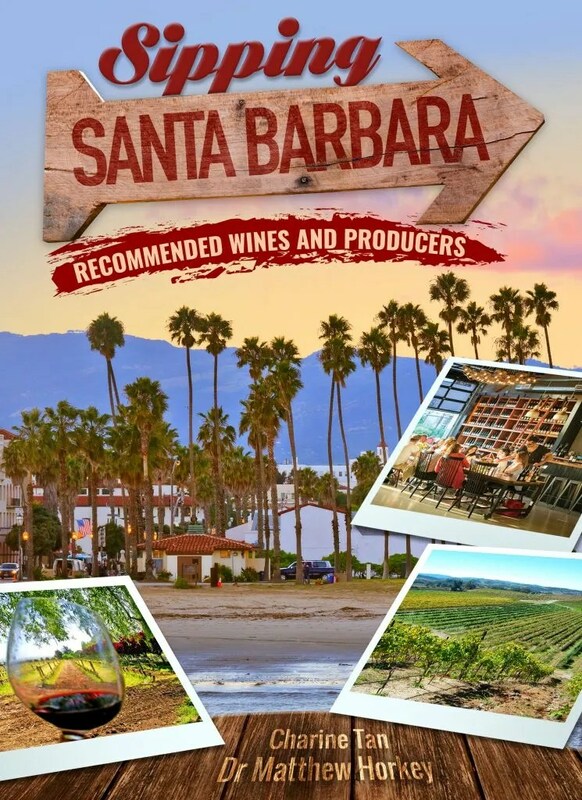 Our visitor-friendly guide to the wines and tasting rooms of Santa Barbara is available now! Check out Sipping Santa Barbara: Recommended Wines and Producers for more information. 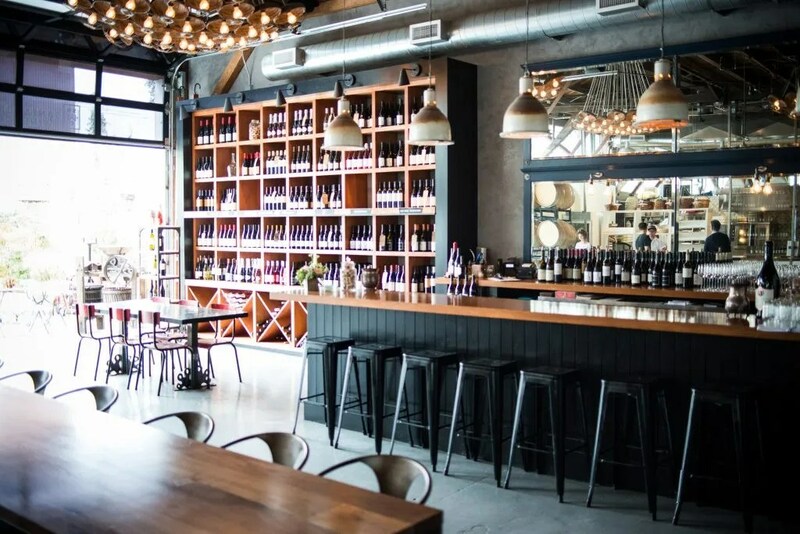 Charine and Matthew have captured Santa Barbara Wine Culture with passion and aplomb, making recommendations that are amazingly sympatico with my local favorites. As a Santa Barbara winemaker since 1994, I offer enthusiastic praise for ‘Sipping Santa Barbara’ and would offer it to friends and family as a one-stop guide for planning and executing an amazing trip to one of the most underrated and bucolic wine regions on planet earth. If this publication doesn’t get you fired up for a trip to our Wine Country, nothing will! 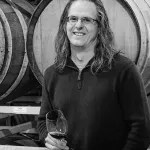 Being from Santa Barbara, I have a lot to say when the topic of Santa Barbara wine producers comes up in conversation. Sipping Santa Barbara is going to be the primary source document I recommend everyone pick up when desiring to learn more about Santa Barbara Wine Country. 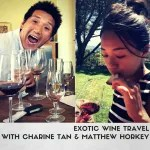 From the formative producers to the most important newcomers, Charine Tan & Dr. Matthew Horkey paint a full picture of the diverse winegrowing that happens from the Southern tip to the Northern most point of Santa Barbara County. Download the trail map for Santa Barbara Urban Wine Trail here. Cover image by Mark Weber. Courtesy of Visit Santa Barbara. The ideas expressed in this article are personal opinions and are not associated with any sponsors or business promotions.